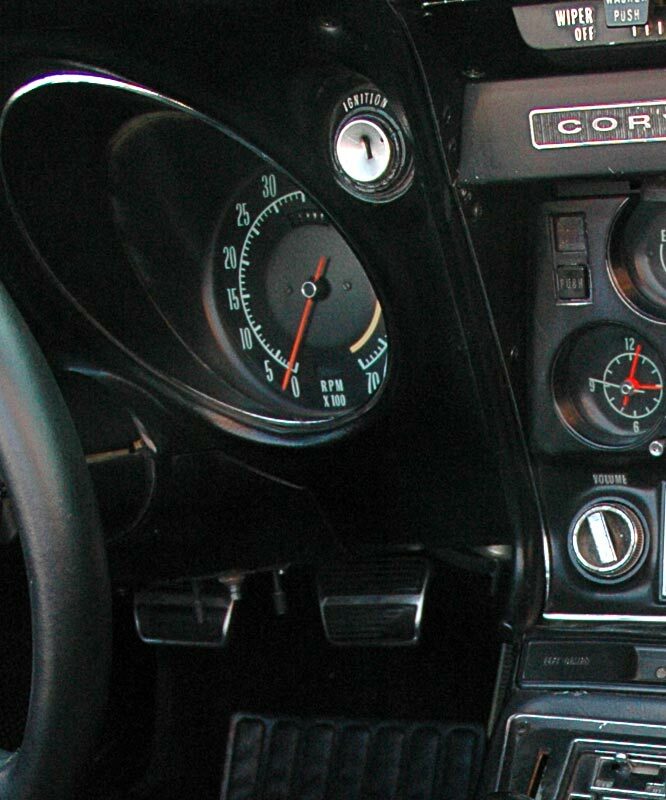 1968 was the first year for the C3 Corvette and the start of the "Coke Bottle" styling that would prevail up to the C6 generation. 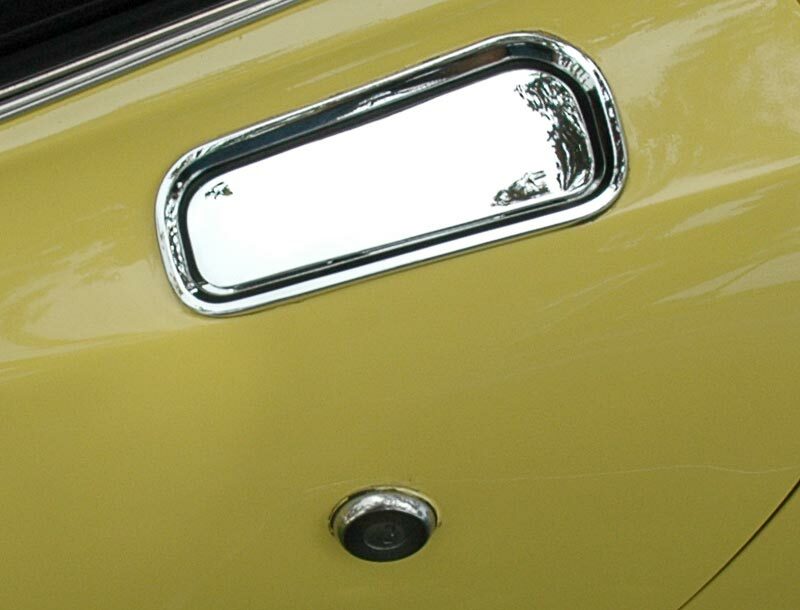 Above left: The 1968 model year is best identified by the key lock which incorporated the thumb operated opening latch. 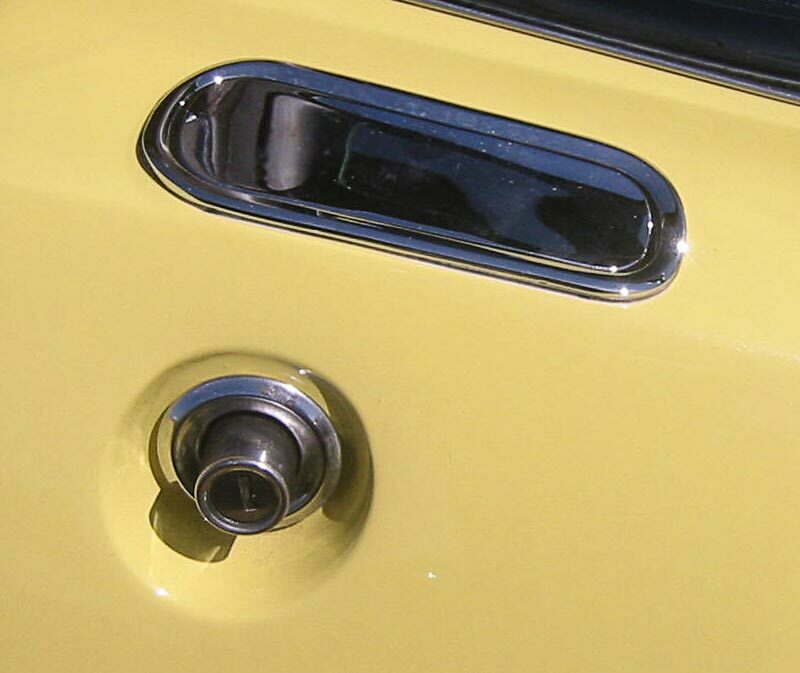 1969 and later (above right) had a simple key lock with the opening activated by pushing in the finger plate. 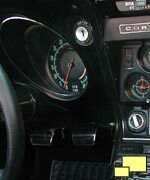 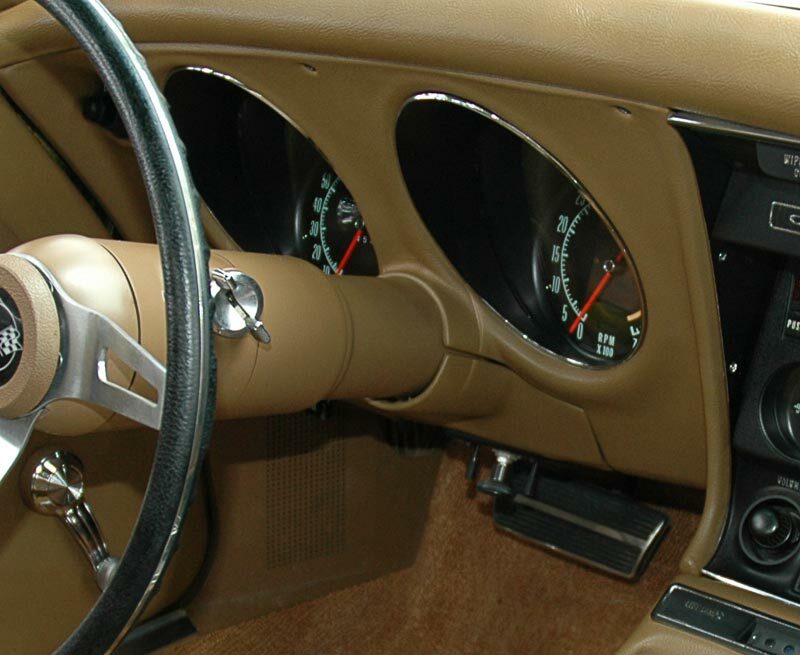 Above left: For 1968 only, the ignition switch was mounted on the dashboard. Right: Federal anti-theft regulations caused the ignition switch to be moved to the steering column for 1969 and subsequent years. 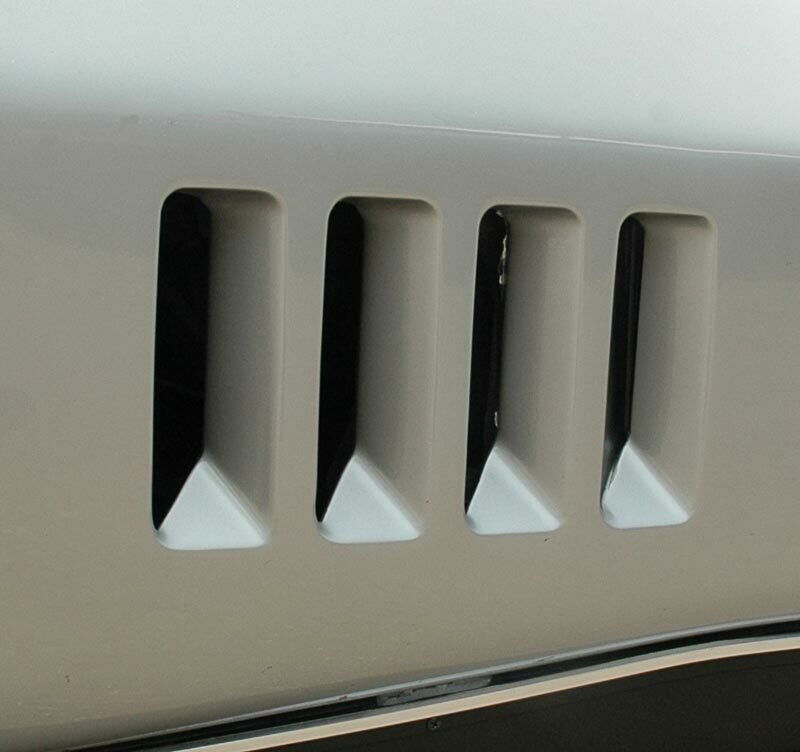 Four functional fender vents can be found only on 1968 and 1969 Corvettes. 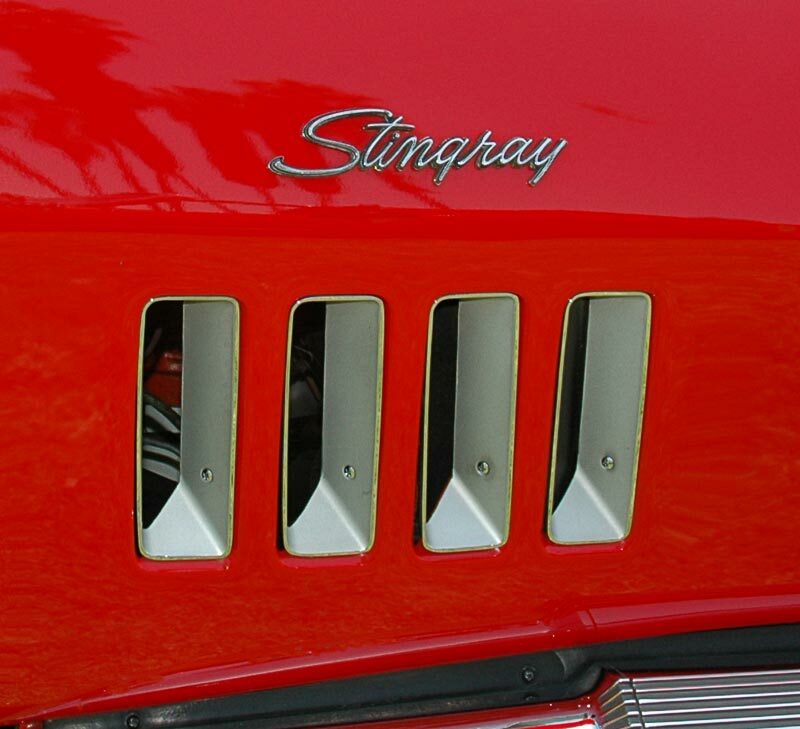 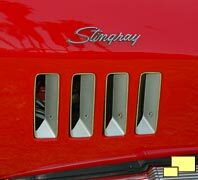 Right: The "Stingray" above the vents was for 1969 only 'vettes and is an easy way to distinguish the two model years. 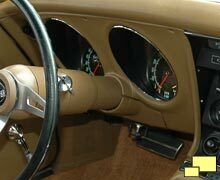 The chrome insert (RPO TJ2; $21.10) was also 1969 only although many owners of 1968 Corvettes installed them. 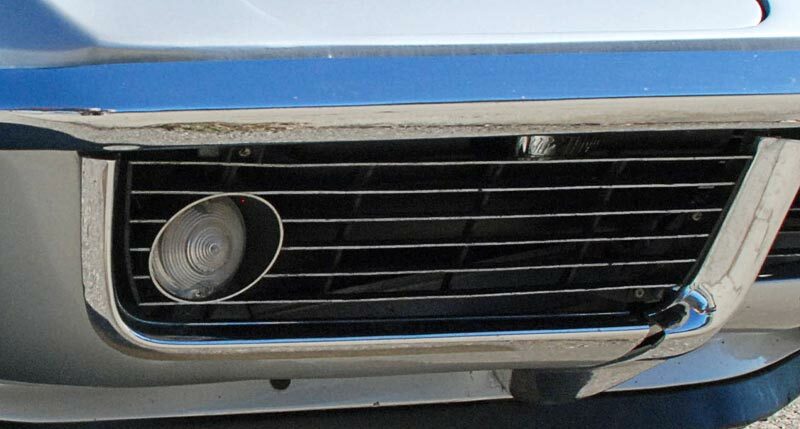 1968 and 1969 Corvettes featured a small round front turn signal light. 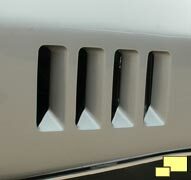 The grill was black on 1969 Corvettes although here there is evidence that some 1968 Corvettes were also black.